Courtesy of Douglas Elliman of California, Bradley Feldman. Welcome to 30082 Corsair! Boasting 3-bedrooms and 2.5 bathrooms in a functional 1,759 sq ft floor plan, this impressive Sterling Niguel single family residence is situated in quiet cul de sac street in beautiful Laguna Niguel. Appointments include a recently-painted interior, wood flooring downstairs, quartz kitchen countertops, separate laundry room, ceiling fans in each bedroom, dining room with french doors to the private, grassy backyard, entertaining deck, and 2-car attached garage with full driveway. In addition, this property features a full house fan, whole house water purification system and ADT security system. Comfort, convenience and value all combined into one stylish property. Please, send me more information on this property: MLS# OC19081792 – $710,000 – 30082 Corsair, Laguna Niguel, CA 92677. 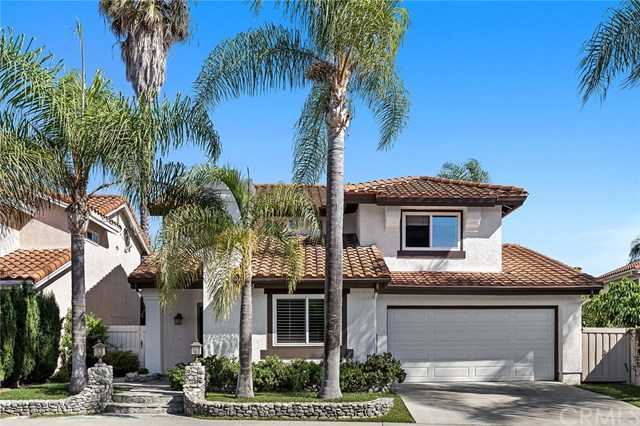 I would like to schedule a showing appointment for this property: MLS# OC19081792 – $710,000 – 30082 Corsair, Laguna Niguel, CA 92677.